Hosts Crystal Long and Adrian Bell, both Access MVPs, discuss free tools available for Microsoft Access. They provide demos as well as links to the free tools, to help you learn all about Access! Do you have free tools, videos, or other resources to share for Microsoft Access? .. or Excel, Visio, Word, or any Microsoft Office product? Please comment with your links (choose to open in a new window) and descriptions, thanks. No commercial products please. Note: Comments are only open for a short time. The Analyzer for Microsoft Access is an essential tool for every Access developer, and anyone who wants to have a better understanding of what is in their Access database. It is open source and everything it collects is exposed. Have a suggestion to improve Access? There are several extremely useful downloads linked on this page. For more Microsoft Access by Crystal Long, check out her online course at https://www.goskills.com/Course/Access-Basics. For more Microsoft Access by Crystal Long, check out her online course at www.goskills.com/Course/Access-Basics. The main focus of these articles is how to use VBA and SQL to pull data from Access into Excel and push Excel Data into Acces. thank you for commenting, Bhav. Overview of the Access objects covered so far. The main object types are Tables, Queries, Forms, Reports, Macros, and Modules. Identify Page Setup options and learn how to force a new page between sections of a second grouping using a few lines of VBA. GoSkills has video tutorials in many topics and focuses on Microsoft Office. Three lessons in each course are free. Jan Karel, I did not realize you had such a useful tool for Access! Excel could benefit from this too since Access databases are a great way for Excel users to share data ~ and maybe that is why you first wrote it? Ken, thank you for sharing your link. Ken Puls also has video tutorials on GoSkills. He is an expert with Excel and a great speaker and teacher. if you have too many links in your message, you will get a message that it is spam. Edit and write multiple comments to get all the links in. Roger's Access Library is a collection nearly 500 small sample databases, created by myself and other professional developers including MVPs. Each sample is designed to solve an individual problem, with only those objects and code needed to solve it. Roger's Access Blog is a collection of over 200 articles on Access topics ranging from Access Basics to Database Design to Queries to Reports to VBA/Programming and more. All of Crystal's free tools are top quality. I have used Crystal's Analyzer on several databases. It provides a wealth of information so quickly! Other tools can take a very long time to gather the data but the Analyzer is the quickest I have ever seen. I look forward to using Adrian's Log Code and Property References Database. It looks like it will be very helpful when improving on Access databases developed by others. Great session Adrian and Crystal. Every Access developer needs those tools and more. Search For Text: This little gem of a utility is something I wrote back in the Access 97 days and I won't develop a database without even today! What the utility does is pretty simple: It will tell you all the objects and properties a string pattern exists, and with some object types (Forms, Reports and Queries) you can do an "Edit and Continue" to change a property with the searched pattern. There are a few paid apps out there that to similar tasks, but this one is all Access (its a single form that you import into your db), plus its free! If any questions arise, please get let me know. With no doubts, as you certainly know, in MSAccess 2013, the Package Solution Wizard has been removed. The Package Solution Wizard allowed you to package an MSAccess desktop database file along with Access Runtime and to distribute the files to others. It is the reason why I decided to develop a new Wizard for this version. You must subscribe an account to download. I'm sorry, the tutorials are written in french because the forum is french and I'm french myself and I live over there. But, the both tools have the both language US/FR. I didn't found sufficient time to translate the tutorials in English. Same as MSAccess 2013, MSAccess 2016 has also its Package Solution Wizard removed. @strive4peace:Great work Crystal and Adrian! I have a few links people may be interested in, as well. Hi, Crystal and Adrian, thanks for this informative video. Access being an Office application, here's a way to export an Excel spreadsheet into an Access database table, using a VBA macro that resides in and is executed from Excel. Was thinking that the viewers of your video may appreciate how Access can be controlled from Excel using VBA. For example, a quick way to delete an Access table from Excel is at this link: http://www.atlaspm.com/excel/access/. Nice job, Crystal and Adrian! I have a few free tools at my website http://www.thatlldoit.com/Pages/utilsaddins.aspx Please drop by and poke around in my site. In addition to free tools I have code samples and How-To's for the more serious users. ** Properties Setter - My most popular utility by far. This tool lets you connect to an Access ACCDB, ACCDE, MDB, MDE or MDA and see the database settings, startup form and whether or not it has an AutoExec Macro. Think of it as a Startup wizard. You can change the settings using the Properties Setter without opening the target file. Did you set the database to disallow the Bypass Key? You can reset it. Need to change any of the other database settings? Just check the boxes you want changed. And click the Engage button. ** Show User Roster - This is an Access Add-in that is meant to be used in the back end of a split database that utilizes Access User Level Security (ULS). It can display a list of all current users in the database, telling you which ones are suspect (may have not exited properly and hung the LDB file). ShowUsers has the functionality to let you block any new users from opening the database, and there is a built-in messaging feature that asks logged in users to log out. ** Table Restorer - Ever accidentally delete a table? ACK! I hope you have a backup. Nah, you don't need a backup. You can restore the table with this add-in. As long as you don't delete another object and you don't compact or close the file, you just open TableRestorer from your Add-ins list and click a button. ** One of the things that has a always bothered me is the fact that Microsoft did not include a way to do bulk object exports. You can only do one object at a time. Sometimes you can do a work-around by importing the objects into another database, but this is not possible if you want to get objects from a workgroup-protected database into an unprotected database. ExportAll is an add-in that does just what its name says. It lets you export multiple objects at one time. The only thing I haven't figured out yet is how to carry the relationships along with it. But, hey, with all the time this will save you, you can rebuild the relationships and still be ahead of the game. If you want to be a professional Developer then you will need to understand the Development Lifecyle and how to manage it. You will also need to give your clients a good reason to have you develop an application for them that THEY OWN, using Access. www.osel.solutions has articles on these and other concepts on design principles that every professional Access Developer should understand. When I created this demo, I couldn't find any resources for filling in a fillable PDF form with data from an Access table. I hope some of you may find it useful. Thank you to all for the comments, feedback and resources. Some wonderful stuff here. To ensure I don't get left behind I'll just post links to a couple of new articles I've posted on Bytes.com that explain how to control external processes (using scripts) from within MS Access, making use of a table to store the basic template of the script. I hope people find them useful. I gave a presentation very recently for the UK Access Users Group which seemed to go down well. I hope, like many of you here I suspect, that this thread can help to increase the interest we all have in Microsoft's wonderful tool - Access. Thank you Crystal and Adrian! Thanks for the fun with Access! It is good for Access developers to learn Excel too. Tom Urtis, Ken Puls, and Jan Karel Pieterse have great resources for Excel. Roger's Access Library also has code for Excel and automation. ExcelisFun (Mike Girvin) has a channel on YouTube for learning Excel with thousands of free videos, indexed in the video description to quickly jump to times, and workbooks. awesome, thanks, Wayne! Peter Doering recommended EverythingAccess.com as a good resource* as "Wayne Phillips' site, inventor of vbWatchDog and the only guy who ever re-engineered an mde/accde." *and indeed it is! I just love, love your file property information tool!!! I use it a lot and recently found another interesting property -- Content Created is the original creation date of a file even if it has moved and gotten new dates in the popular columns. He said that especially Gunter's site is full of samples. Allen's site was a rock for me when I really got into the nuts and bolts of developing with Access. Reading his pages give you a solid foundation for how Access works. He has lots of code samples that impart understanding and make light bulbs come on. Pat is far too humble. His site is a great resource for using Azure -- reference information, tips, and code for getting around some of the issues. Brent only listed a couple of his many great tools. I have used Brent's code to manipulate and get information about arrays, date/time ranges, queries and other objects, ... down to nuts and bolts with bitwise math, connecting to data in other formats such as text files, and linking to data in other places using DSN files. Alex shares his vast knowledge about Access, SQL Server, and more on his brilliant blog packed with tips and valuable information. Thanks, Andy! I sent for your free book. 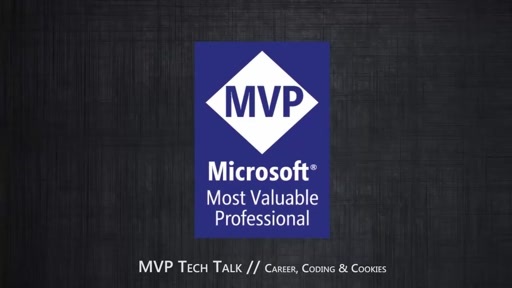 Andy Tabisz and Juan Soto will be on MVP Tech Talk about Access, so watch for them. Bill, thank you. Your Properties Setter is indeed, a tool that no developer should be without. You have so many good tools ~ and even more for those on MS Access Professionals ... and what would a page written by you be without slipping in some humor somewhere? Kent, thanks for sharing. In addition to being very wise in business, Kent has some amazing tools ... did I miss a download section, for, like, your great query editor? theDBguy has several good resources listed on the home page of the link he gave for the Fillable PDF Forms Demo. Adrian, thanks; Well said. It was great doing the show with you. Pat, so glad you posted links; you have such a wonderful site and great compilation of knowledge for Azure. Wayne, thanks for sharing ~ your contributions are colossal. If I were to thank everyone as Crystal has, I'd be here all day, and all the readers would too. I'm glad Crystal got that one. She knows more of you than I do. I have to say that I'm excited to start learning and playing with Wayne's vbWatchdog soon. I simply don't use such tools in my everyday work due to my desire to have all my familiar environment around me wherever I go. Unfortunately for that approach, I've had my ear bent so many times about how great and easy it is, that I can put it off no longer. 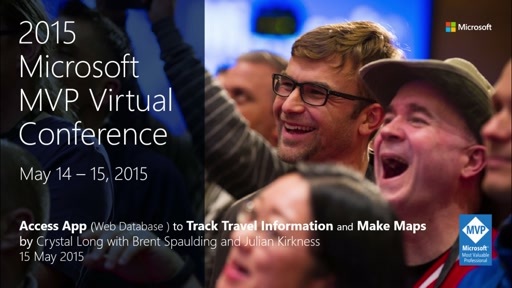 That's every time I do a talk or meet up with other MVPs - vbWatchdog, vbWatchdog. That said, there are so many great resources and I'm so grateful you all chose to post links in here. This may come to be the go-to place for free Access material. That would be so great. @RogerJCarlson: I've been using and referring others to your pages for years. Especially AD Tejpal's samples. Thanks for keeping it going all this time. Very informative talk Crystal Long. Got alot of information. Keep it up. Great Video Crystal and Adrian! Nice Contacts Application Crystal! Adrian, thank you. Yes, there are certainly a lot of great links here! ... and perhaps it is time to start thinking about another video? Bill Mosca, I am so glad you mentioned AD Tejpal's great collection too. RogersAccessLibrary has so much from many developers. I have a library page there as well. Roger deserves a big pat on the back for setting it up and keeping it going all these years ... as do you for MS_Access_Professionals, which is a free forum to ask questions and get answers about developing with Microsoft Access. Thomas, thanks for pointing out TM VBA-Inspector, which is an amazing free tool to gain a quick overview of potential errors. This is invaluable to new developers, and even experienced developers ... especially when you take over a project done by someone else ... and it can help you find and fix your own common bad habits. Jack Cowley, it is an honor and heartwarming to be on a thread with you again ... however, you forgot to mention anything about wine ... perhaps that delicious Sauvignon Blanc you told me about recently? Thanks for the fish. Geoff Griffith, thanks. I see your main page on www.ImagineThought.org is under construction ... perhaps it may have a section with articles and resources in the future? Geoff used to be on the Access team, and then was an MVP for Microsoft Access. He has great knowledge about Access, SQL Server, Visual Studio, Windows, and much more -- and has written books on Access you can find in stores and online. And lastly, a new blog series explaining methods of exporting data from Access to Excel from simple manual methods to Office Automation. Thank you, Crystal and Ade! This is a great talk - very informative and also entertaining. Keep up the good work - you are truly "Most Valuable"! Great information Crystal and Adrian. I've got some free samples primarily at www.access.hookom.net. Other samples are hosted by Roger Carlson at www.rogersaccesslibrary.com. Often we see references to the filesystem object when needing to work with simple text files; however, there is a set of standard functions in VBA for file control are the often quite difficult to find any information for, for example, the basic File operation commands, such as DIR(), CHDRIVE(), CHDIR(), FILECOPY(), NAME(), KILL(), and commands to handle the basic text input/output. Using these types of commands along with the string functions can provide a very valuable set of tools without the need to add any library references or late binding object to use the file scripting object. You can archive materials, save settings, offline error logs, and I’m sure that many of us have had the need to import text from a TXT/CSV file and do not want to deal with opening an ADODB or DAO recordset for a single file or two (or creating scehema.ini for a ton of text files (!)). Fantastic presentation, Crystal and Adrian! Thank you. I've used free tools from both of you in the Microsoft Access special interest group I lead at the Philadelphia Area Computer Society. Next season, in response to a request from a couple of people, I will probably be starting a new group for Access beginners. This presentation will be a good one to present at some point. For my more advanced group I developed a free web app and a YouTube video about adding images to web apps. Here's the link to the video: Holiday Tutorial by Jenny, Add Image to Access Web App (cc) . Hope it is helpful to someone. Seriously I will definitely use the analyser and the log tools on my next Access project. Although so many of my projects these days are in Excel I'm not sure when that will be. Congratulations again on a very helpful presentation. Looking forward to the next one. I've already posted comments concerning the Package Solution Wizard for Access 2013 and 2016 where the tool was removed in the both version. You must subscribe an account on the forum to download. This a french forum but the popups are simple to populate. Thank you to all who've posted since I last did. As Graham Mandeno said it's great to have so many wonderful resources all linked from this thread. That gives it far more value than it started with. I'm happy with the presentation, but never could it match up to everything that's been added since. I suspect many of these will prove helpful to a lot of people. Just finished my new website which has a bunch of free Access tools and utilities: http://www.forestbyte.com/.